Making delivery of applications to your entire organization easy. Jetro Platforms works with some of the most prestigious companies in the world. Their clients include the likes of Coca-Cola and Tel Aviv Stock Exchange. Their products, the COCKPIT 4 and COCKPIT4i help IT professionals around the world handle the challenges that come along with a large, multi-national organization and network. Their goal is to limit network downtime and ensure that their clients have remote access when they need it. Limiting security risks and increasing performance, their products make it possible for even the largest server-based computers to serve their clients effectively. Because they serve some of the largest corporations not just in Tel Aviv, but around the world, we knew that their expectations would be high for their website building project. 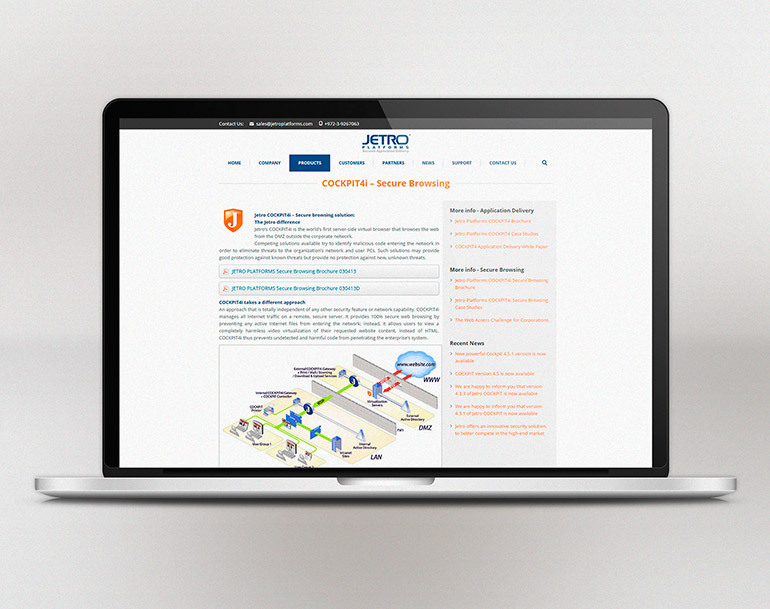 Jetro Platforms had very specific needs when the approached us about their project. They are IT professionals and understood exactly what they wanted and needed when it came to having a website developed. We started by discussing the details of their wants and needs, so we had a very clear picture of where they wanted us to go. Their website is trafficked every month by high-level corporations looking for very specific solutions, so we knew we had to build them a website that would meet the demands of this kind of traffic. 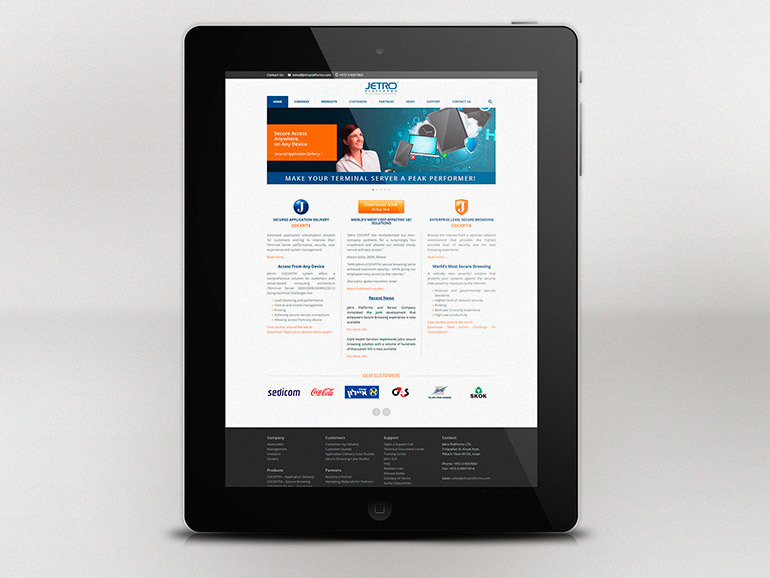 We built their website on a theme that had been carefully customized for Jetro Platform’s needs. We transferred their old website so that they would not take a hit on their search engine page rankings, and made sure that their new website was completely responsive, so their current and potential clients could access it from any mobile device, as well as from laptops and desktops.